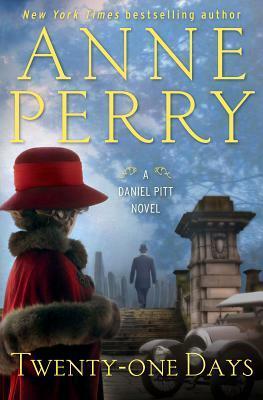 New York Times bestselling author Anne Perry enters the Edwardian era, and inaugurates an all-new series, as Thomas and Charlotte Pitt's son carries on his family's distinguished mystery-solving tradition. 1910: Twenty-five-year-old Daniel Pitt is a junior barrister in London and eager to prove himself, independent of his renowned detective father's influence. And the new case before him will be the test. When his client, arrogant biographer Russell Graves, is found guilty of murdering his wife, Daniel is dispatched by his superior to find the real killer before Graves faces the hangman's noose--in only twenty-one days. Could the violent death have anything to do with Graves's profession? Someone in power may be framing the biographer to keep damaging secrets from coming to light. It is a theory that leads Daniel's investigation unexpectedly to London's Special Branch--and disturbingly, to one of his father's closest colleagues. Caught between duty to the law and a fierce desire to protect his family, Daniel must call on his keen intellect--and trust his natural instincts--to find the truth in a tangle of dark deception. Lest an innocent man swing for another's heinous crime. Anne Perry is the bestselling author of two acclaimed series set in Victorian England: the William Monk novels, including An Echo of Murder and Revenge in a Cold River, and the Charlotte and Thomas Pitt novels, including Murder on the Serpentine and Treachery at Lancaster Gate. She is also the author of a series of five World War I novels, as well as fifteen holiday novels, most recently A Christmas Return, and a historical novel, The Sheen on the Silk, set in the Ottoman Empire. Anne Perry lives in Scotland and Los Angeles.